That hero soldier who saved a life with just a pen and a sweatshirt? Apparently, he made it all up. It took a few days, but as news outlets around the country picked up a Jan. 9 Fort Bliss, Texas, press release about a soldier’s heroic response to a gruesome car accident, firefighters in Sweetwater, Texas, started to ask questions. That wrecked Toyota pickup on the side of Highway 20 sounded very familiar, but Sgt. Trey Troney, the 20-year-old soldier with the New Orleans Saints “Salute to Service” sweatshirt and the ballpoint-pen chest decompression didn’t. “There are so many similarities, but our patient didn’t have those injuries,” Grant Madden, Sweetwater’s fire chief, told Army Times in a Wednesday phone interview. Fort Bliss officials on Thursday retracted their story. 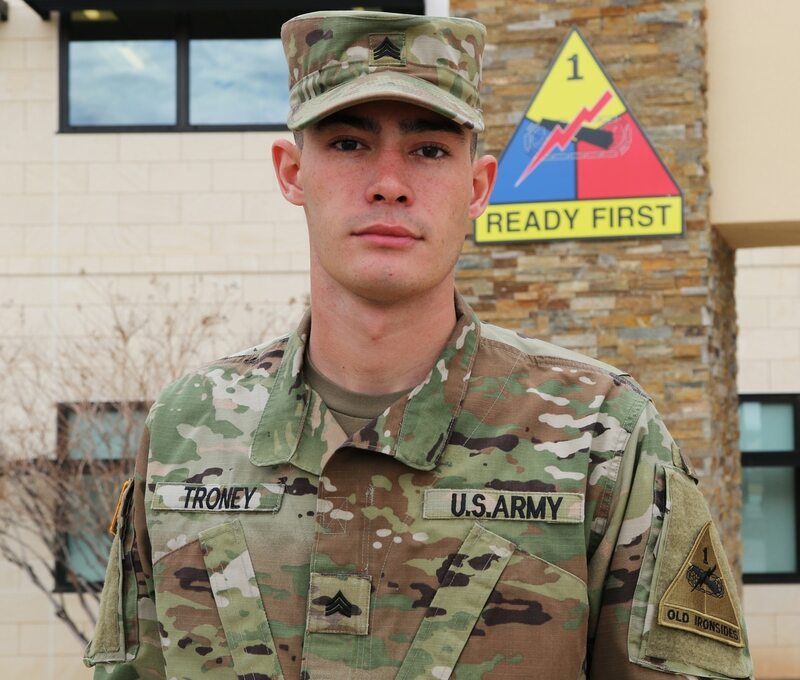 Troney’s command has initiated an investigation into whether he lied to his leadership about his role in the accident, spokeswoman Maj. Allie Payne told Army Times. “The entire 1st Armored Division and Fort Bliss team sincerely apologize to the Texas Department of Public Safety, Texas Highway Patrol, the city of Sweetwater, Texas, the city of El Paso, the University of Texas at El Paso, the New Orleans Saints, the local and national media and the American people,” Payne said in a release. The truck was part of a multi-vehicle accident big enough that Madden himself responded to it with his team, he told Army Times. The silver Tundra had been hit by an 18-wheeler, he said. They knew something was wrong when they saw a photo of the accident described, featuring Sweetwater FD personnel. Madden said he remembers seeing a few guys who might’ve fit Troney’s description, but that none of them treated the driver of that pickup. 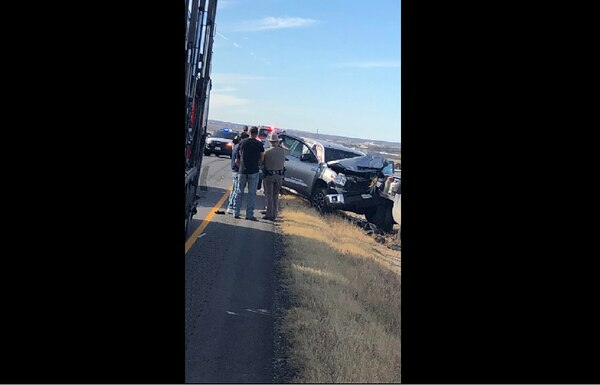 It could’ve been a different wreck in a different town, Madden said, but that photo was definitely taken near Sweetwater. Camera footage from the accident response shows Troney wearing a black sweatshirt or jacket, he said, but there’s no evidence that he applied it to the accident victim’s head wound. The story featured by Fort Bliss credited the 1st Stryker Brigade Combat Team, 1st Armored Division NCO with happening upon the driver slumped over in his truck on Dec. 22 as he was making his way home to Raleigh, Mississippi, on holiday leave. Troney, the release said, took off his sweatshirt and wrapped it around the driver’s head wound. When he noticed the left side of the driver’s chest wasn’t rising and falling, he told Fort Bliss public affairs, he used a chest decompression needle he happened to have in his Jeep, left over from a recent training center rotation. But it wasn’t long enough, he said, so he jabbed the body of a ballpoint pen into Jeff Udger’s lung to relieve the collapsed lung. Sgt. Trey Troney was making his way home for Christmas leave when he drove by an accident on the side of the freeway. Madden says he saw a sweatshirt on the floor of the truck, but didn’t notice anything about the Saints or “Salute to Service.” He added that his patient was conscious the whole time, didn’t have a collapsed lung and was named Jeff, but not Jeff Udger. The Army release said that “Udger” had reached out to local officials, media and Troney’s chain of command to regale them with the story of his rescue. The story went gangbusters online, picked up by local outlets throughout Texas and Mississippi, as well as Fox News and the New York Post. Readers called for a Soldier’s Medal for Troney, an award given for non-combat acts of valor. “We’ve been getting flak for not recommending this guy for medals,” Madden said.